Total sugar production upto 15th Feb, 2014 is 143.7 lac tons. It was 165.88 lac tons during last year, same time. The gap in sugar production over last year, during same corresponding period, has narrowed down to 13% on 15th Feb, from about 16% a fortnight back i.e. upto 31st Jan.
About 485 sugar mills are operational across the country on 15th Feb, 2014 as against 500 mills last year during same corresponding period. In Maharashtra, 147 mills have crushed about 454 lac tons of sugarcane to produce about 49.80 lac tons of sugar with 10.96% recovery, while last year when almost same quantum of sugarcane was crushed, average sugar recovery was 10.85%. However, to-date comparison of recoveries over last year same time, looks low, as mills have started crushing about two weeks late. 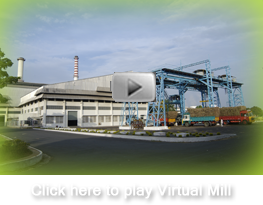 Till 15th Feb,2014, about 10 mills (four in Aurangabad zone ; four in Pune zone; one on Ahmednagar and one in Nanded) have closed in comparison to 8 mills during same corresponding period last year. Uttar Pradesh has produced about 35.7 lac tons, which is about 18% less than, i.e. 43.61 lac tons of sugar produced last year, during same period,. Total 119 mills are crushing sugarcane, as against 121 mills last year. Reported yields per hectare across Uttar Pradesh have been lower by about 6-7% as compared to last year. Till date, sugar recovery is 8.91%, which is higher last year’s 8.85%, if same quantum of sugarcane crush is considered. Till 31st Jan, 2014, UP has crushed about 400 lac tons of sugarcane. Karnataka has produced 27 lac tons of sugar which is about 4% less than last year same time. Andhra Pradesh /TN / Gujarat have produced 6.60 / 4.50 / 7.50 lac tons of sugar till 15th Feb, 2014. Sugarcane payment dues of farmers have crossed Rs 12,000 crore for the country as a whole. Out of this, Rs 8000 crore pertains to Uttar Pradesh and Rs 3000 crore for Karnataka alone as on date. Country has produced about 8 lac tons of raw sugar till 31st Jan, 2014 and expected to produce another 10 lakh tons of raw sugar in remaining months of current season. Total about 8.5 lac tons of sugar has been exported out of the country till 31st Jan, 2014, out of which 4.5 lakh tons is raw sugar and rest is white/refined. Another 1.2 to 2 lakh tons, mostly raws, are in transit for getting exported. Total sugar dispatches till 31st Jan, 2014 starting from 1st Oct, 2013 is about 79 lac tons. Country is still having stocks of 117 lac tons as on 31st Jan, 2014. ISMA will soon review their estimation figures for the SS 2013-14 in next couple of weeks.